Bonnie the Bear arrives at the castle! 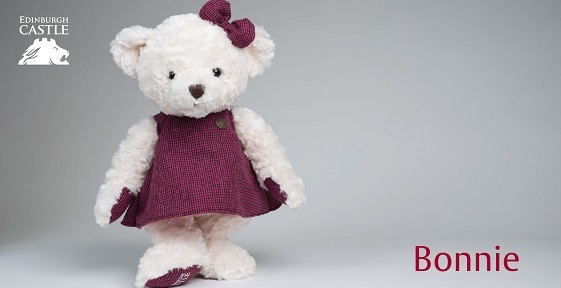 Our gorgeous bear is designed and made exclusively for Edinburgh Castle, making her a limited edition bear with only 1500 available to buy. She wears a Harris Tweed inspired dress and bow and comes with a limited edition swing tag, metal button badge and black presentation bag.